One-third of the more than 150 Asia-Pacific coral reefs surveyed in a new study were littered with plastic, further threatening already depleted marine ecosystems. Everybody knows that grocery bags, water bottles, and other plastics are polluting the oceans. Now scientists have discovered the damage that plastics have wrought on some of the world’s most vital coral reefs. Writing in the journal Science on Thursday, researchers said billions of pieces of plastic are sickening corals in the Asia-Pacific region, threatening ecosystems and economic growth from Australia to China. Looking at more than 150 reefs between 2011 and 2014, Lamb and her colleagues found plastic on one-third of the spots they studied. They estimated that 11.1 billion plastic items litter coral reefs in the region, with amounts reflecting how poorly countries disposed of their trash. Australian corals suffered the least amount of plastic pollution while the worst was in Indonesia. Based on how much plastic that humans are dumping into the oceans annually, the researchers estimated that the total number would rise to 15.7 billion items by 2025. Normally, around 4 percent of corals are fighting a disease, said Lamb. But where she and her study co-authors found plastic, corals were likely to be sick 89 percent of the time. They documented a 20-fold increase in ailments like black band disease, skeletal eroding band disease, and white syndromes. Each involves bacteria and other critters killing the tiny polyps that produce the hard skeletons that comprise coral reefs. Lamb didn’t know why the diseases were taking hold, but she had ideas. “It could be that plastics are shading the corals, corals are stressed and there is this low oxygen, low-light habitat that these bacteria really love,” she said. The knock-on effects of the sicknesses are significant. 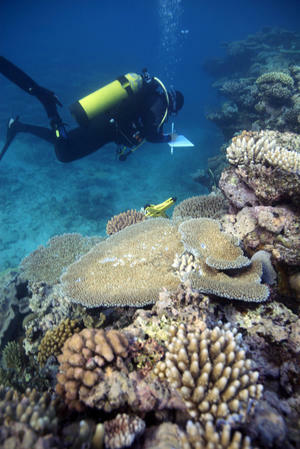 Around 275 million people depend on corals in the region for food, tourism income, coastal protection, and other benefits, the researchers wrote. Lamb hoped her work would inspire people to use paper bags at the grocery store, potato starch bags for trash, reusable bottles for water, and take other measures. “The individual can make a conscious effort to reduce the amount of plastic we consume,” she said. Governments and corporations could also ban plastic bags and similar items or force people to buy them, she added. “If I have to buy something, I’m very likely not to have it,” she said. At least there’s a silver lining to the depressing findings. 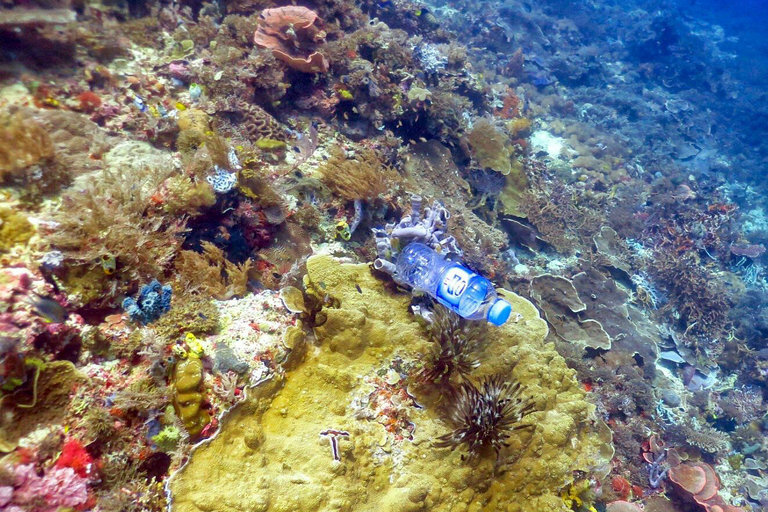 If humankind can reduce the amount of plastic in the seas, the corals will rebound.